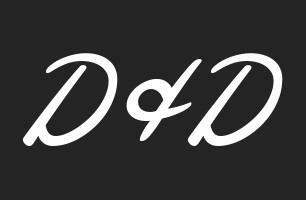 D and D Carpet and Cleaning Services - Cleaning Services, Driveways/Patios/Paths based in Herne Bay, Kent. Hello and welcome to D&D Carpet Cleaning services Checkatrade page. D&D Carpet Cleaning services are a small family run, Kent based business that is fast becoming the number one cleaning service throughout Kent by providing our customers with a first class service from start to finish. Our friendly hands on approach to customer service ensures that whether it be a large commercial building or simply a spill in the family car, you will always receive the same excellent communication, polite hard working technicians and value for money. Over the many years we’ve have been servicing our customers we’ve learned to listen to their needs and as a result we’ve expanded our business to meet the following customer needs. Carpet & Upholstery Cleaning. Reinvigorated your carpets & upholstery rather than replace them. Oven Cleaning. Let us do the dirty work. High Pressure Cleaning. Driveways, Patios & Decking. Vehicle Upholstery & Carpets. Let us turn the clock back. To find out more about our services please take a look at our website. We have standard pricing for most of your cleaning needs which you can find by going to our website, but please feel free to contact us with your needs as we always supply a FREE quote and love speaking to our customers.